A string of TVB series slated for a release in the coming year was revealed to the public at the Hong Kong International Film & TV Market exhibition (FILMART) yesterday. 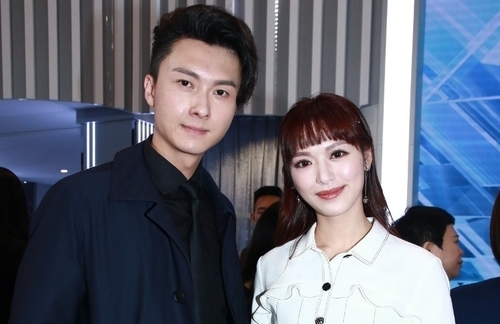 Of the dramas promoted, Al Cappuccino <極道怪咖>, a crime comedy starring Vincent Wong (王浩信), Crystal Fung (馮盈盈), and Owen Cheung (張振朗) stole the show. In the Al Cappuccino trailer premiered at the event, hilarious scenes ensued laughs from the audience. For one, Owen, who plays a OCTB undercover, cross-dressed as a nurse and bared his fake cleavage. Then, he was seen kissing Vincent, a theatre actor who was hired to go undercover as a triad boss by the police in the drama. But the most shocking yet was when Vincent accidentally ripped Crystal’s shirt, revealing her black bra and cleavage.